Many clinical staff have opportunities every day to talk to their patients who use tobacco about their readiness to quit and to provide assistance. Referring patients to the Maine Tobacco HelpLine is a reliable and evidence-based treatment option for busy clinicians and other healthcare professionals. Understanding how the Maine Tobacco HelpLine works may encourage more clinicians to use this excellent resource. The following video follows one patient's experience with the Maine Tobacco HelpLine. Are you a prescriber or someone who works with people trying to quit tobacco? Want to know the latest facts about tobacco treatment medications? 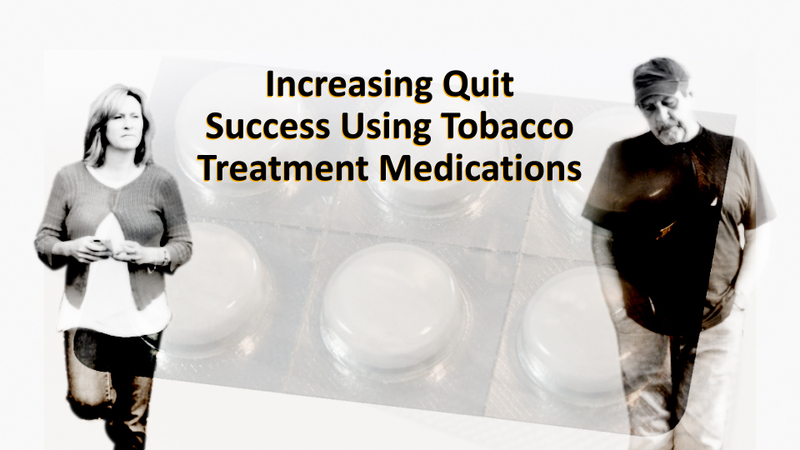 This 20-minute video follows two tobacco-using patients who want to use medications to quit. It provides succinct, current information about the seven FDA-approved medications, including side effects, dosing guidelines, and research on best practice. Whether you prescribe medications or just need to understand how they work, this video will increase your confidence and knowledge base. Training video with 0.5 CME. (AMA PRA Category 1 CreditTM. Includes 9 knowledge assessment questions and electronic certificate issuance to those who successfully complete the training and quiz questions).